← Hell, come by halloween…. 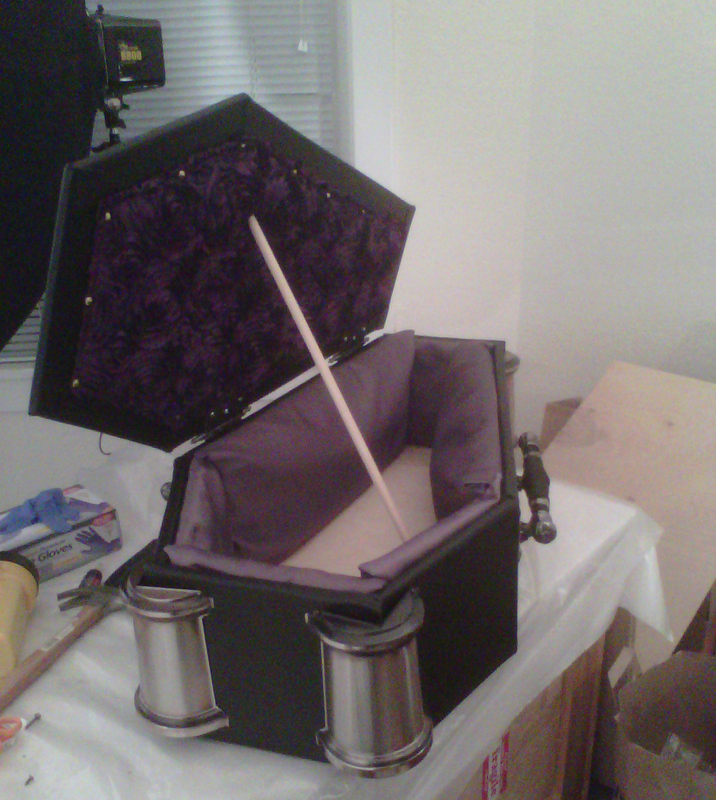 Then tonight I added the handle and attached the lid. Then some work on hinges and cutting out holes for the screws into the interior side panel. I used screws with washers and nuts for maximum stability since that lid is heavy! I cut a dowel for use to prop the lid open but have yet to figure out what the permanent solution for that is. It feels great. It’s been a long haul to get this done and by the end I was starting to get better with thinking about how to do something the best way as opposed to just jumping in. Small things like taping off edges, experimenting with trying something a couple ways. I had to do some repair last night on the bottom where the leather had come off. 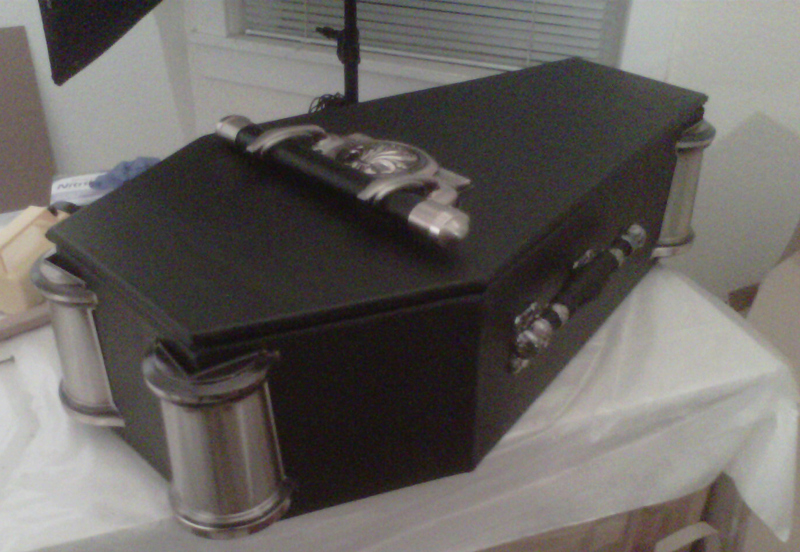 I’m thinking about putting some sort of casters on the bottom to protect that. So a few odds and ends. 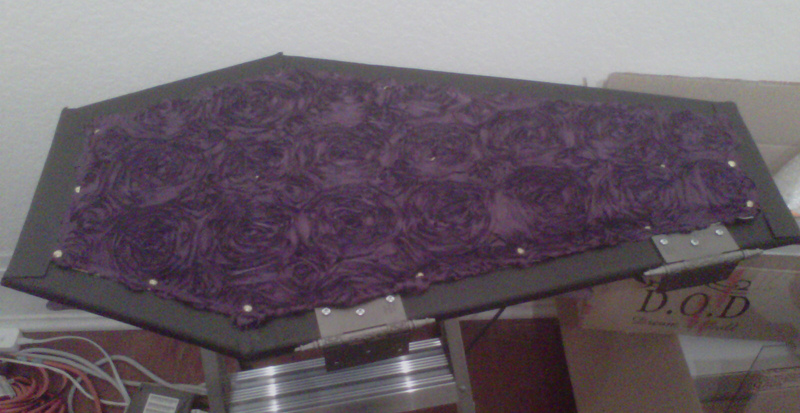 I’ve also been thinking about making a small wooden stand for it to elevate it 4-5 inches off the floor. 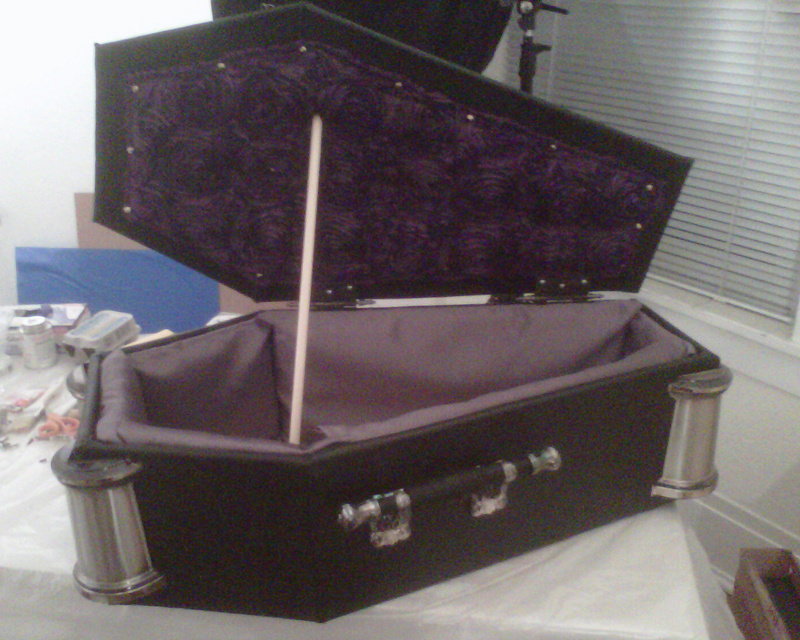 For Celine the exciting part is that after spending the last few nights in her “sleeping bag”, she’ll be back sleeping in her finished new coffin. Here she is sitting, happy that I’m finally done. 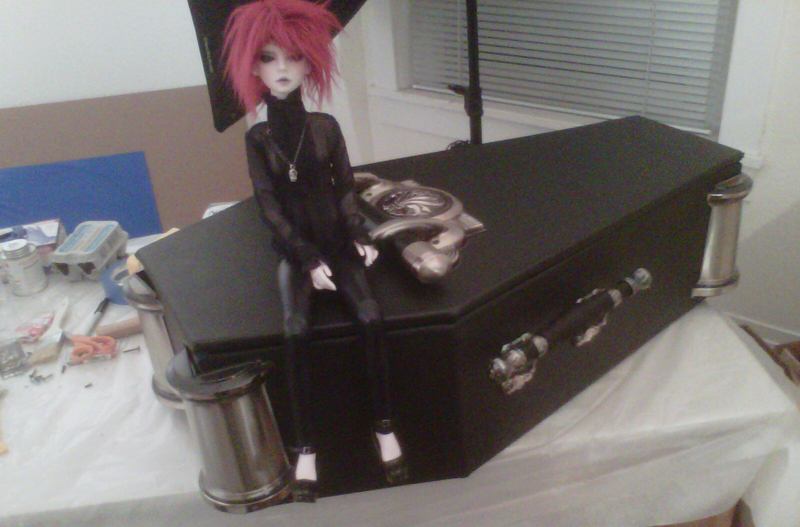 This entry was posted in Dolltastic and tagged ball jointed doll, BJD, Dream of Doll. Bookmark the permalink.